Eating disorders are complex and they threaten life and health. Therapists often contact me because they are worried that they are missing important knowledge or skills that are needed to treat eating disorders. The most important contributor to recovery is the therapeutic relationship. I rarely accept a transfer. Instead, I encourage patients to stay with their current therapist and offer consultation as a way to help both patient and therapist feel they are on the right track. Sometimes one phone call will be enough to “fill in the blanks” and restore confidence in what you as therapist are already doing. 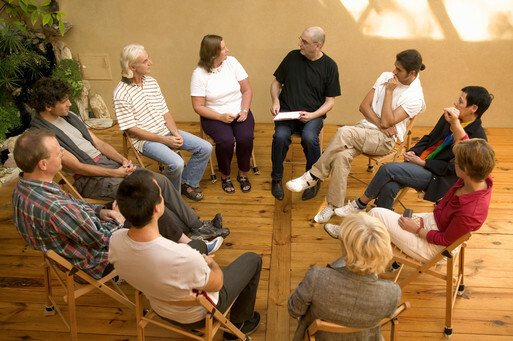 In more complex situations, you may want to meet with me for consultation, in an individual or group setting. Working together in a one-on-one consultation session, I ask for a description of your concerns and relevant patient history. You tell me what you have tried that is effective and not effective with your individual patient. We try to understand your feelings and reactions to the patient as a source of information about what is needed in the therapeutic relationship. I will offer information, insights and skills unique to eating disorders treatment. Working together in a consultation group of several therapists, we do essentially the same thing: a case presentation followed by a group discussion. This allows you to get the input of several therapists, which I have found to be a rich and productive experience. I am available to teach health and mental health professionals in a variety of settings — from a formal lecture to an interactive training workshop. I will develop customized training designed to meet the particular needs of your organization. The Obesity Epidemic: Myth or Reality? Something special about education for therapy group leaders is the opportunity for experiential learning as part of a group—through role play or just being yourself. As your trainer/leader, I will model group leadership technique and give you the opportunity to practice what you are learning. As a group member, you can develop empathy with your patients and a better understanding of what works and what doesn’t work. Email me to plan your workshop and set a date.